Kelly Clark of United States competes in the halfpipe finals during the U.S. Grand Prix event Saturday, Dec. 9, at Copper Mountain. Arielle Gold of United States competes in the halfpipe finals during the U.S. Grand Prix event Saturday, Dec. 9, at Copper Mountain. Kim took home first with a high score of 93.75. Gold placed 5th in the event. Maddie Mastro of United States competes in the halfpipe finals during the U.S. Grand Prix event Saturday, Dec. 9, at Copper Mountain. Mastro took home second with a high score of 90.75. Chloe Kim, of United States, competes in the halfpipe finals during the U.S. Grand Prix World Cup event on Saturday, Dec. 9, at Copper Mountain. Kim took home first with a high score of 93.75. 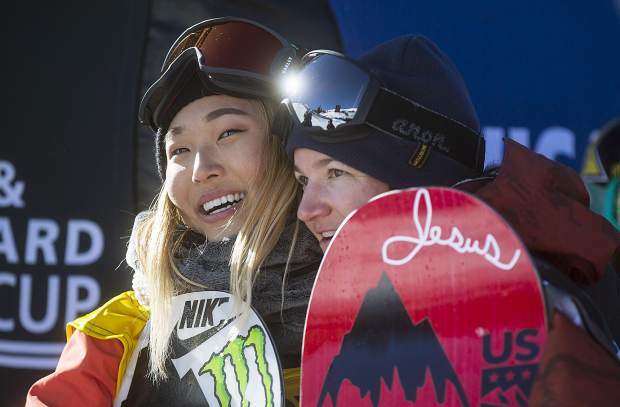 Chloe Kim of United States receives a hug from Kelly Clark of United States following the halfpipe finals during the U.S. Grand Prix event Saturday, Dec. 9, at Copper Mountain. 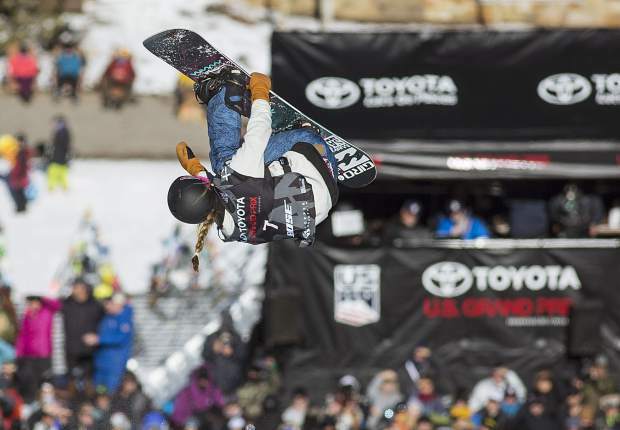 As it’s an Olympic year, American snowboarder Kelly Clark said big progressions in the level of riding should be expected. 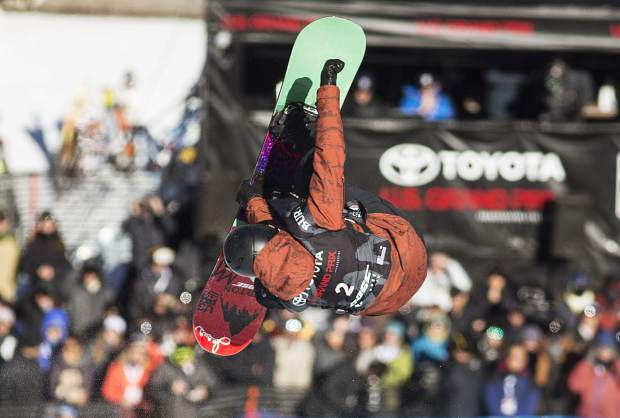 At the Woodward superpipe at Copper Mountain Resort on Saturday, Clark and her American teammates didn’t disappoint, as she was joined on the U.S. Grand Prix FIS Snowboard Halfpipe World Cup podium by champion Chloe Kim and second place finisher Maddie Mastro. 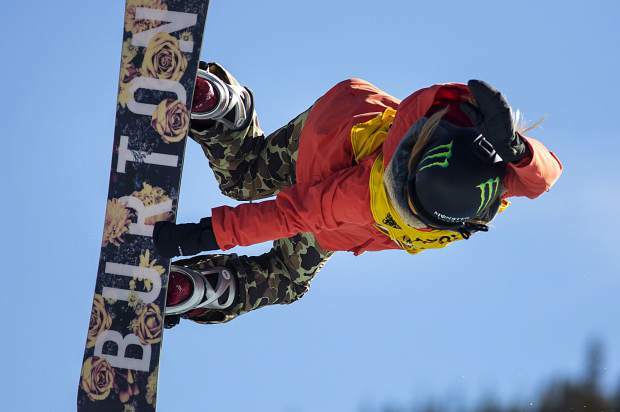 Despite a flatter-pitched halfpipe at Copper than other World Cup and Olympic qualifying events, Kim achieved remarkable raw amplitude on her first run of the day, piecing together an air, a front 10, a cab 7 and a front 5 McTwist to earn a score of 93.75 for the title. Mastro entered the day with the high score from the qualification round, which meant she had one final chance to best her teammate Kim on the final run of the day. Standing at the top of the pipe while Kim and Clark patiently waited at the bottom, the announcer at Copper Mountain didn’t mince words. Mastro put together a remarkable run, bumping her best score of the day up into the 90s. But the 90.75 wasn’t good enough to overtake Kim. It came on a final run that featured a front 9 Indy, a back 5 grab, a front 7 Hawkin (flip) and a front 5 seatbelt. 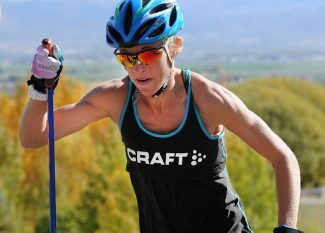 Clark described this week of qualifying and finals at Copper — one which featured five American women scoring in the top eight and 16 American women taking part in total — as a “zero to 100 type of week.” Though there wasn’t much practice, the veteran Clark considered it a job well done for the Americans, as she took third place with a score of 83.75 via a run that consisted of a frontside air, a backside 5, a frontside 10, a cab 7, a crippler 5 and a backside air. 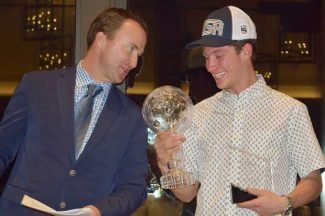 Kim may have been the powerhouse that stole the show and secured the title, but it was Mastro’s soulful run that impressed her fellow second place finisher of the day, American snowboarder Ben Ferguson. Japan’s Sena Tomita finished in fourth place Friday with a score of 80.50 on her final run. American Arielle Gold took fifth place with a score of 77.25 on her final run, and China’s Jiayu Liu posted a 76.75 on her final run to take sixth. France’s Mirabelle Thovex scored a 75.75 on her first run to secure seventh while American Elena High rounded out the finalists with a score of 67.50 on her second run. Like the men, three spots on the U.S. Olympic team will be given to the female snowboarders who meet the objective criteria, which is a podium finish at a qualifying event, such as the Grand Prix at Copper. 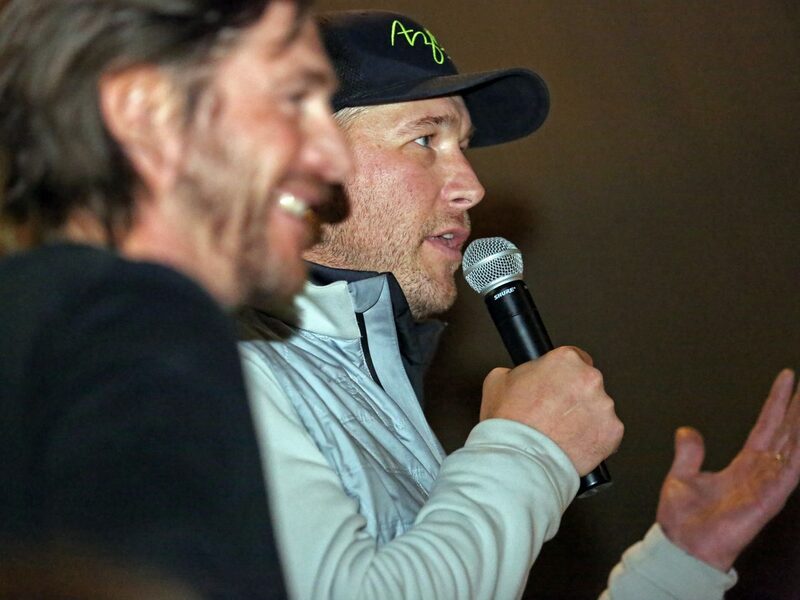 Other qualifying events are scheduled for the Dew Tour Dec. 14-17 in Breckenridge, Jan. 10-12 in Snowmass and Jan. 17-19 in Mammoth, California. A fourth Olympic team spot will likely — but not definitely — be given to a competitor of the coaches’ choosing. The final qualifier in Mammoth will return Americans like Mastro to their home mountain. 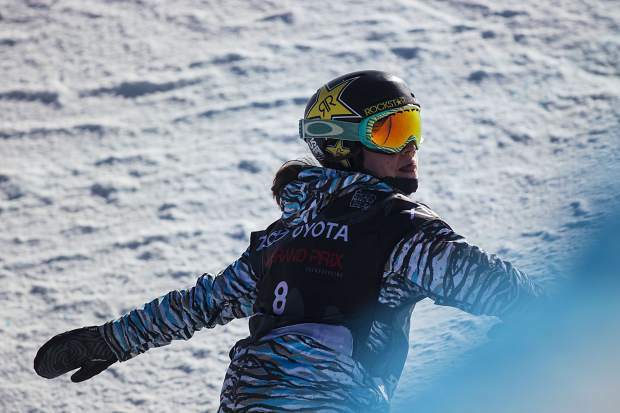 And with this head start to Pyeongchang qualification via her showing at Copper on Saturday, Mastro is in ideal position with the Pyeongchang games exactly two months away.